The Vigo Industries brand marries smart technological solutions with structural dependability and a unique, refined aesthetic. In short, they offer elegance in products you'll use every day. Deeply committed to creating unique and lasting products, Vigo's talented engineering and design teams constantly research and revolutionize, bypassing today's trends to bring you durable and attractive products designed with your future needs in mind. 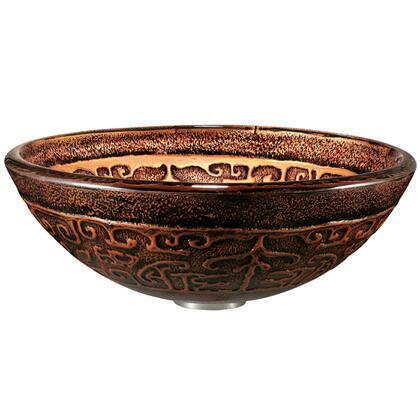 Will remind you of an antique art piece, with its attractive and stylish dark brown color and golden design. I bought this a year ago and love it! I was cleaning it and the stopper chipped. I emailed the company and they sent me another one for free! You guys are the best! Thank you! This is an absolutely gorgeous sink! It is actually much more attractive than the picture shows. So pleased with it, and have gotten so many compliments on it. Also, easy to clean. This sink is more beautiful in person than in picture, if that's possible. I have not installed yet. I am still shopping for a faucet and a new countertop. I'm very anxious to see my completed project and sure it will be great. High quality; heavy; looks fantastic in bathroom remodel. Highly recommend. 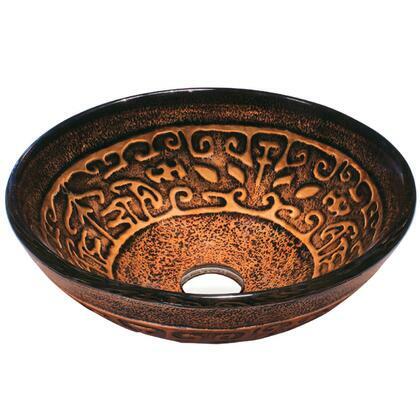 You cannot go wrong with this gorgeous vessel sink and won't be disappointed. So glad that I purchased this vessel sink! More beautiful than the picture! Excellent quality! The Most Beautiful Sink I Have Ever Seen! We have not installed it yet as we are waiting for the new granite countertops to be installed next week. I read all the reveiws before ordering this sink and faucet and they were right on. I am so excited to get this sink installed as it is so beautiful and the quality is top notch. I will post pictures once installed and I get the back splash completed. This vessel sink is very pretty and really highlights my master bathroom . great product will buy again . Installation was easy and simple.